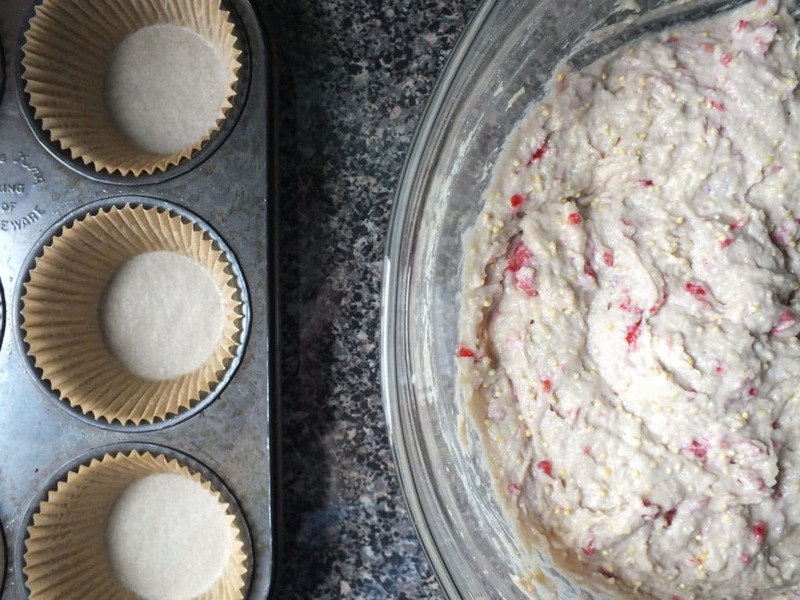 As we sat down to decide what recipes to make this weekend, we realized that we had never baked muffins for the blog. What a travesty, right?! Coincidentally, we received a card and a special gift from my grandma not long ago. 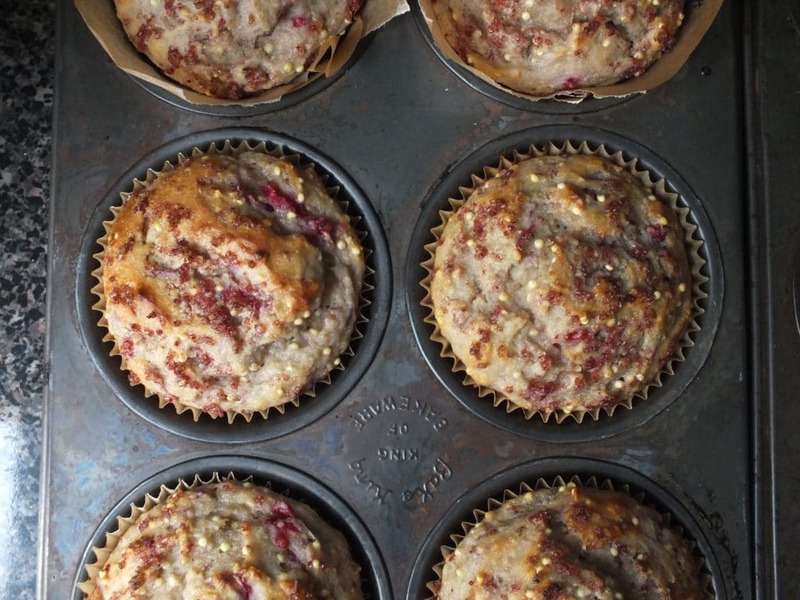 The gift — a package of raspberry cane sugar — inspired this muffin recipe. Berries and lemon are dynamite when paired together. 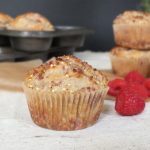 You get the fresh bite and mouthwatering aroma of lemon in each bite and the raspberries bake down to a sweet gooey texture in the oven. 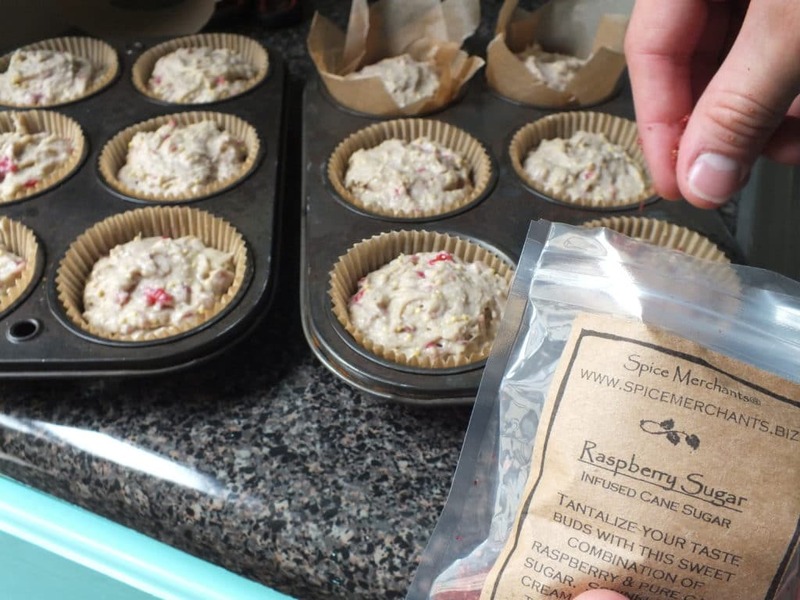 The finishing hint of raspberry sugar from Grandma Betty added just enough sweetness without overpowering the lemon. Melt the coconut butter over low heat and mash the raspberries in a small bowl. In another bowl, whisk two eggs, then add honey, yogurt, lemon zest and juice, and melted coconut butter. Use a hand mixer on medium until the mixture becomes thick and creamy. 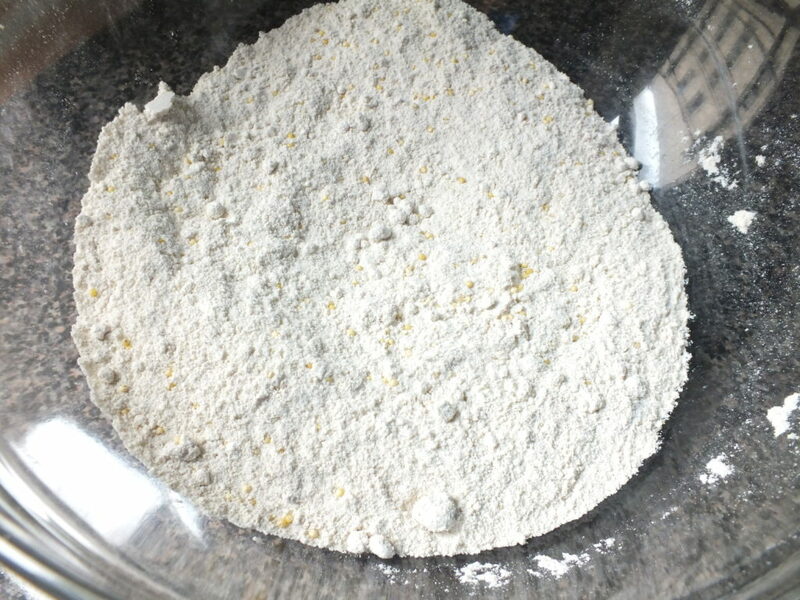 Pour wet ingredients into the bowl of dry and use a spoon to combine until smooth. Add muddled raspberries. Measure a little more than ¼ cup of batter into each cup — fill them to just below the brim. If desired, sprinkle with cane, brown, or coconut palm sugar before baking. 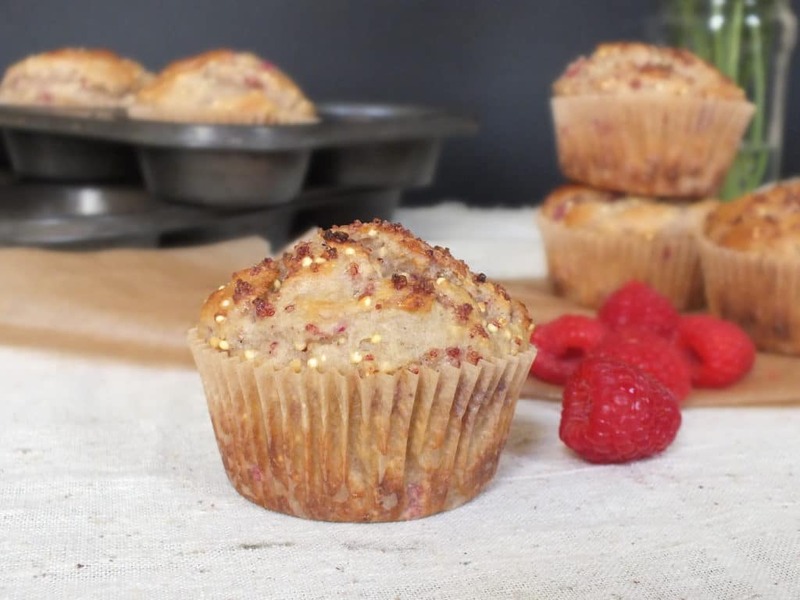 Place muffins into the oven and bake for 15 minutes or until golden brown. 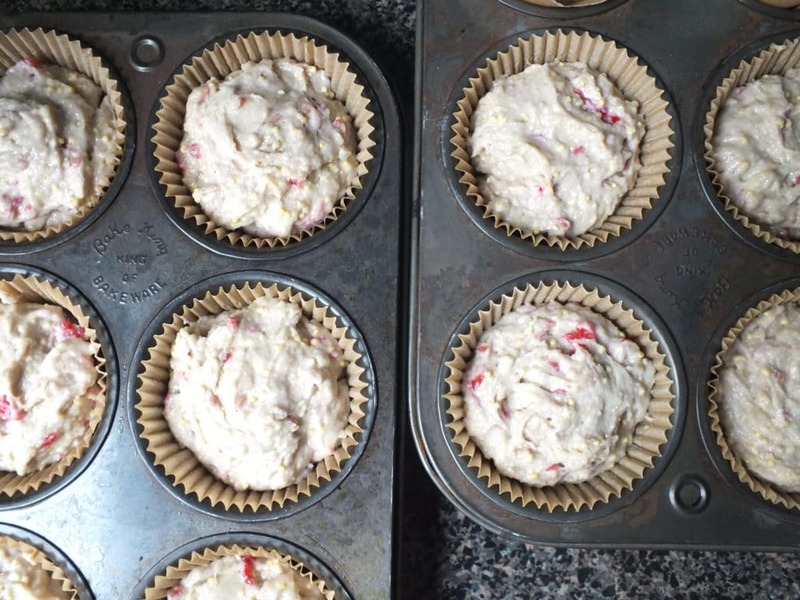 Remove them from the muffin tin and allow them to cool. 3. 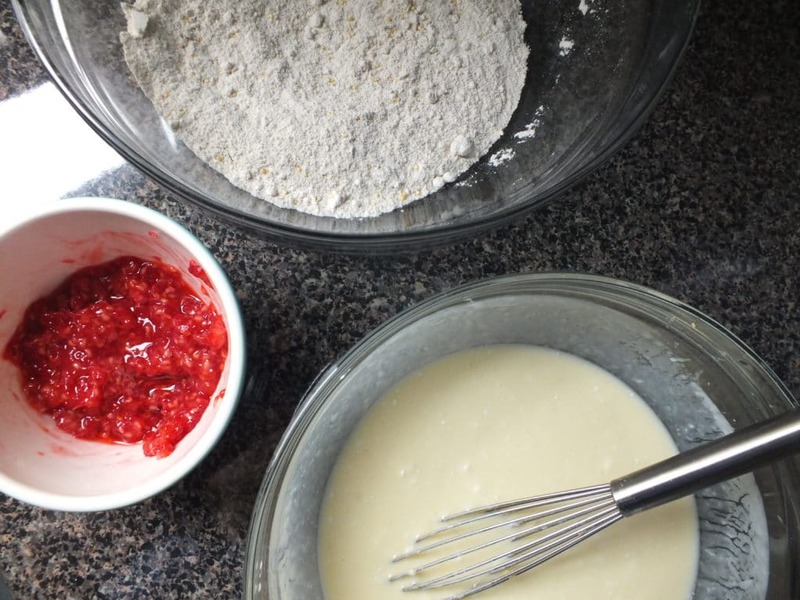 Melt the coconut butter over low heat and mash the raspberries in a small bowl. In another bowl, whisk two eggs, then add honey, lemon juice and zest, yogurt, and melted coconut butter. Use a hand mixer on medium until the mixture becomes thick and creamy. 4. Pour wet ingredients into the bowl of dry and use a spoon to combine until smooth. Add muddled raspberries. Measure a little more than ¼ cup of batter into each cup — fill them to just below the brim. 5. If desired, sprinkle with cane, brown, or coconut palm sugar before baking. 6. 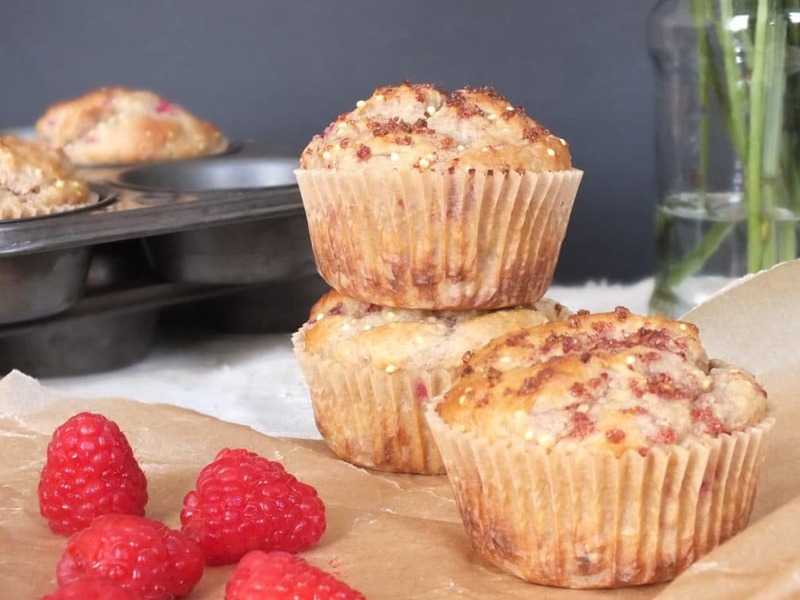 Place muffins into the oven and bake for 15 minutes or until golden brown. HI! Can i use coconut flour? If so, would i use the same amount? You could try coconut flour with a mixture of other flours such as oat and rice, but I wouldn’t do a straight up substitution since coconut flour tends to be very absorbent. Hope this helps! Guys, this looks fantastic. One question though: can you clarify what you mean by coconut butter? I never saw anything labelled “coconut butter”, do you mean coconut oil? Looking forward to trying this one, but am curious if you are referring to single GF flour or a GF flour blend? 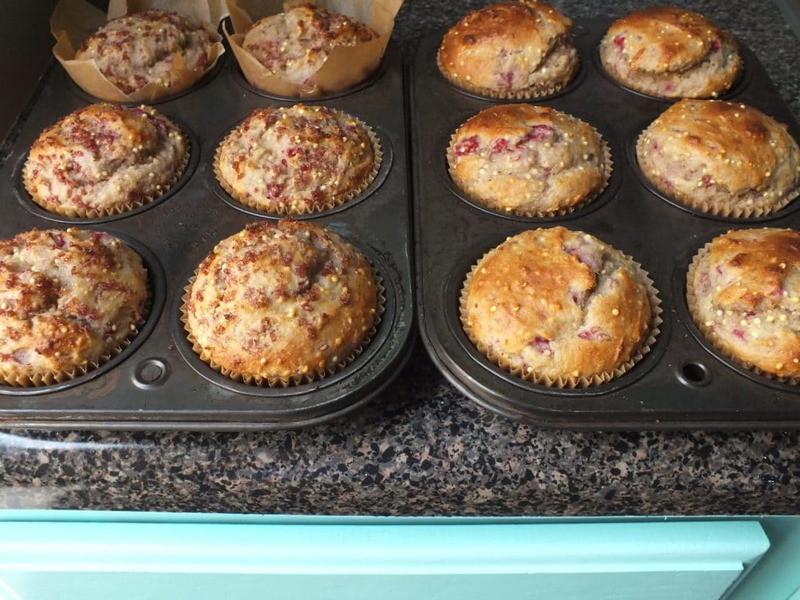 We used a GF flour blend – rice, oat, millet, and baking powder. Bob’s Red Mill or Wholesome Chow, or any other GF all-purpose baking mix would work just fine! Hey there! We use Earth Balance’s Organic Coconut Spread [http://www.earthbalancenatural.com/product/organic-coconut-butter/]. It’s really delicious and useful for a variety of recipes. Whole Foods carries it, as well as other grocery stores. 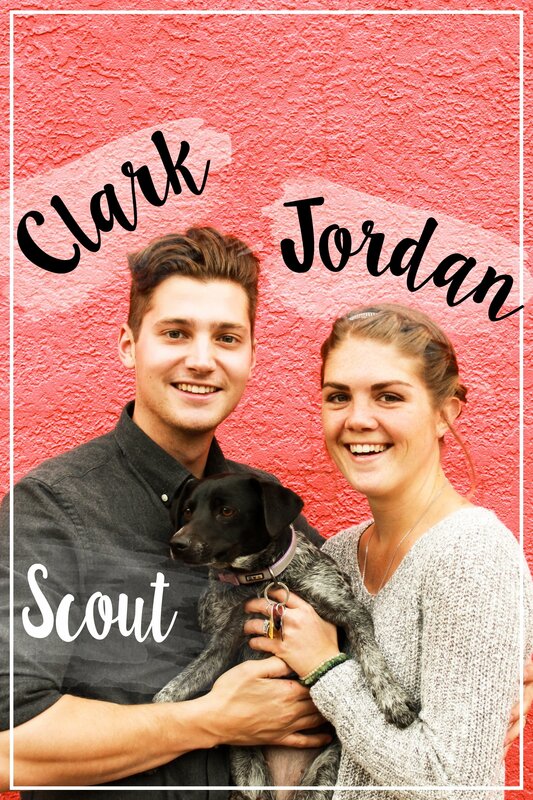 Hopefully you can find it near you!